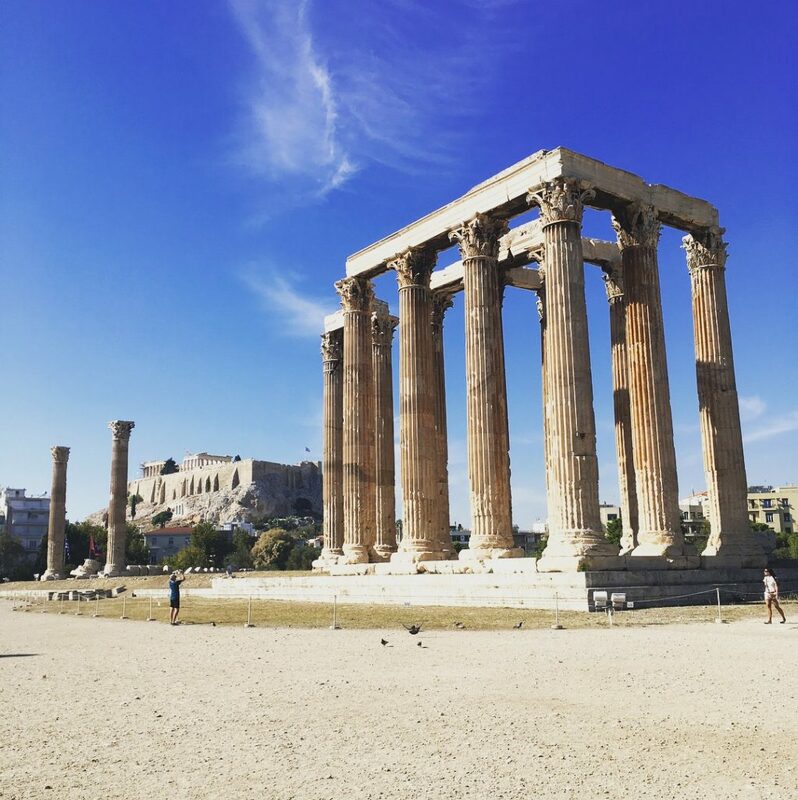 If you follow me on Instagram you might have noticed that I was in Athens over half term. Or if not – surprise! I went to Athens! 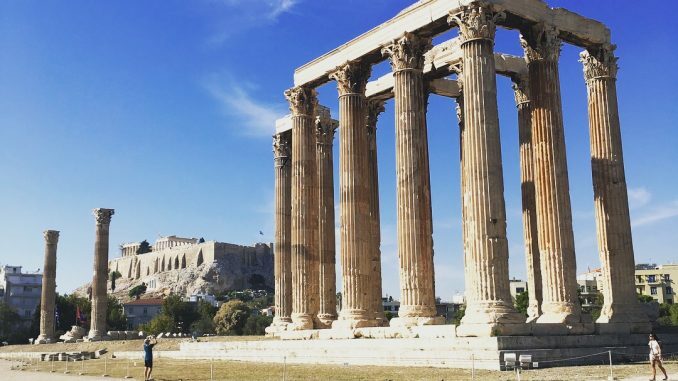 Autumn is a great time to visit Athens. It’s a city for walking around and visiting ancient temples, and the temperature was around 26 degrees, so not too hot for walking in. It’s a very, very busy city, with streets thronged non-stop with people and traffic. Yeah, you thought I was going to come straight in with The Acropolis didn’t you? Look, I know this is a bit shallow when you’re in one of the world’s richest cultural destinations, but we don’t have Sephora in the UK so you gotta get it where you can. 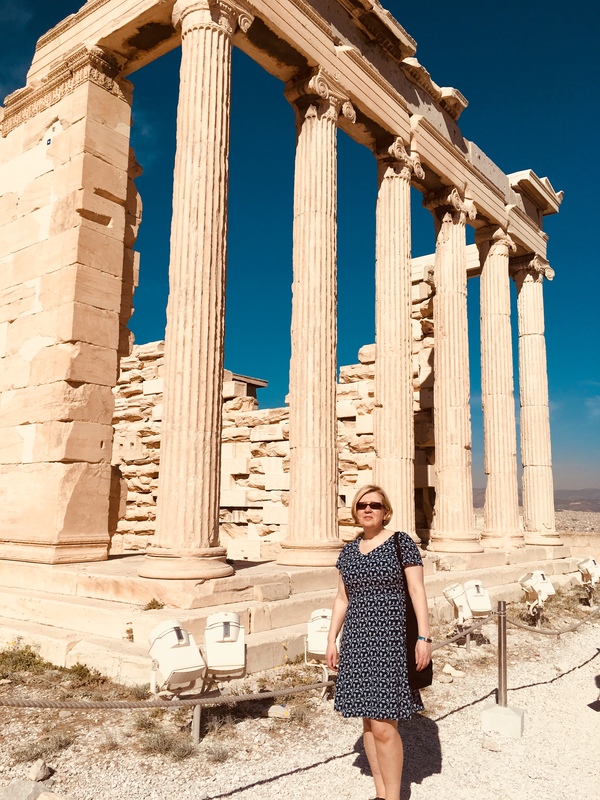 Whilst the historical sites were the main point of our visit (the teenager is studying Classics), my only real research was to establish that there are two Sephoras in Athens, and one of them was three minutes from our hotel. Shopping is a major pastime in Athens, from vast flea markets to high end couture. 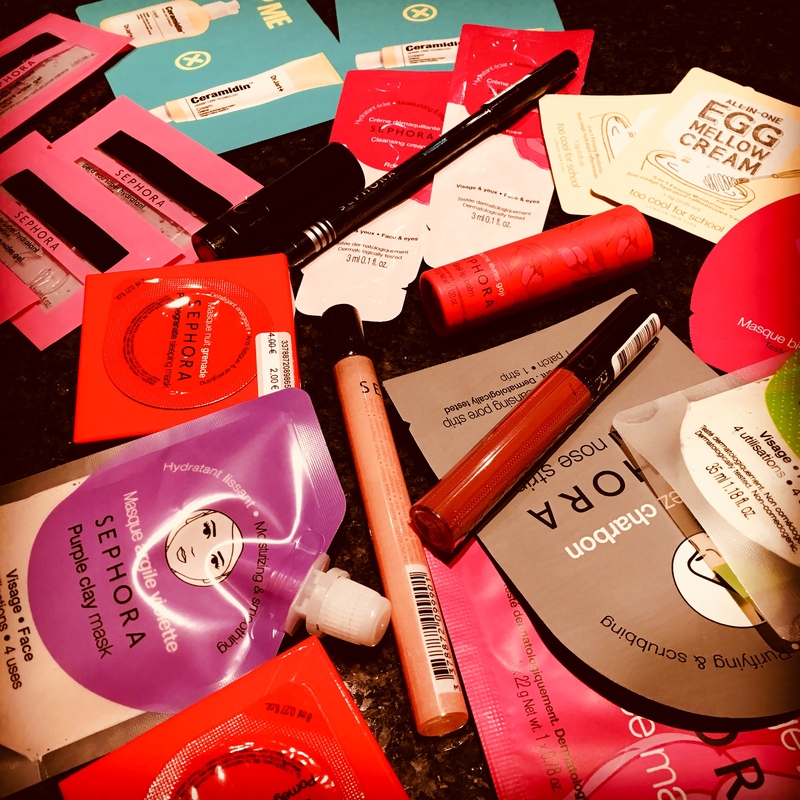 And the Sephora is pretty generous with their sample game. Also check out the Korres shop. As this is a Greek brand, they have lots of products you can’t get in the UK. Well you’ve got to, haven’t you? This is the site that everybody visiting Athens has to visit, and so it’s one of those places that’s constantly busy. Get there as early in the day as you can, and buy the combined ticket that gives you access to other museums too. Allow most of the day for a trip here, because you will want to visit the Acropolis Museum too. Though be careful if you have mobility issues, since there is a lot of walking over stony ground. Widely regarded as one of the world’s most important museums, this is the place to go to for all the top quality statues with no noses. It’s very much a traditional museum in that there’s a lot of gazing at stuff and not much interaction, so younger children might find it dull. But other than that, there’s room upon room of amazing ancient artifacts. Allow at least two hours for a visit. I gave an actual squeal of delight when I unexpectedly found a wild tortoise rambling around an ancient ruin. They’re really cute little fellers and they wander around all over the place. There are plenty of cats roaming wild too, but come on, we’ve all seen cats. I don’t know why these guys don’t get more attention. 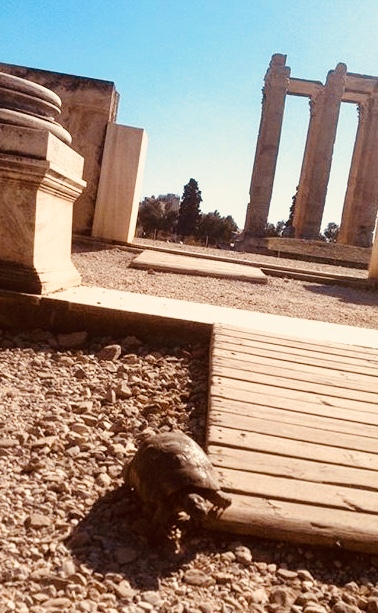 The statues with no noses get put on t shirts and all the rest, but really the tortoises of Athens are the stars of the show. This is where we stayed, and I would definitely give it a wholehearted thumbs up, especially if you are travelling as a family. It’s a boutique hotel with just 7 rooms, right in the centre of Athens. The rooms are actually spacious two bed apartments, with every amenity you could want (great wifi). Very quiet too, which was a welcome respite in a busy city. This just gives you a flavour of what we did. We were in Athens for three and a half days and it was enough to get round all the major sites. It’s a big city, but the central area is very compact and easily walkable. Amazon Echo Dot review – What does it do and do you need one?